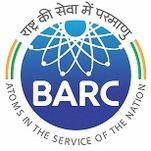 BARC Recruitment 2018.Bhabha Atomic Research Centre (BARC) has released a notification for the recruitment of Group‘A’ Gazetted & Group ‘B’ Non Gazetted posts.Check the eligiblity and notification prior to apply for the positions. Qualification: 12th Class, DNM, Bachelor Degree, MDS/ MD/ MS/ DNB. Submission of online application start from: 14.09.2018. Last date for submission of online application: 10.10.2018.